Summer is the perfect time to get outside. 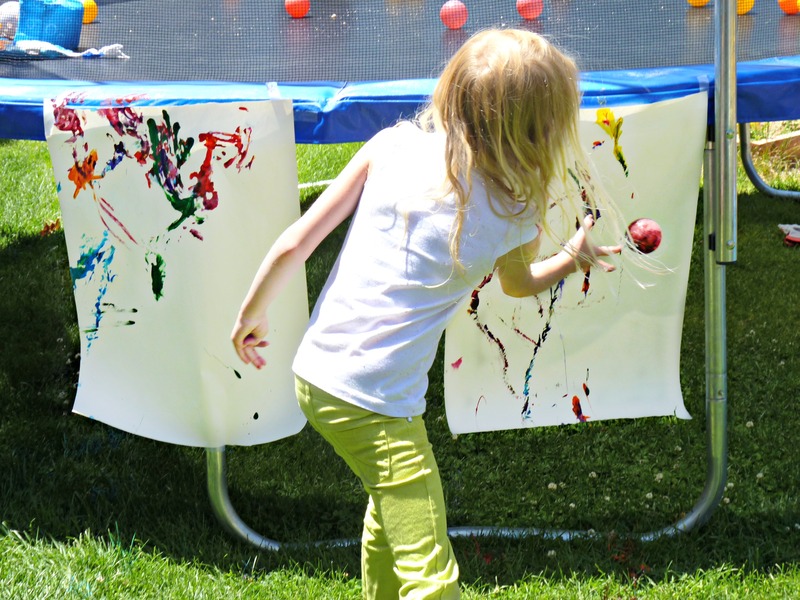 It’s also the perfect time to create a super fun and messy outdoor art project. 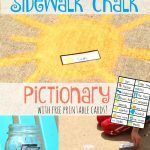 If you are looking fun a fun outdoor activity with little prep work, and even less clean up, this might be the perfect project for you and your children. 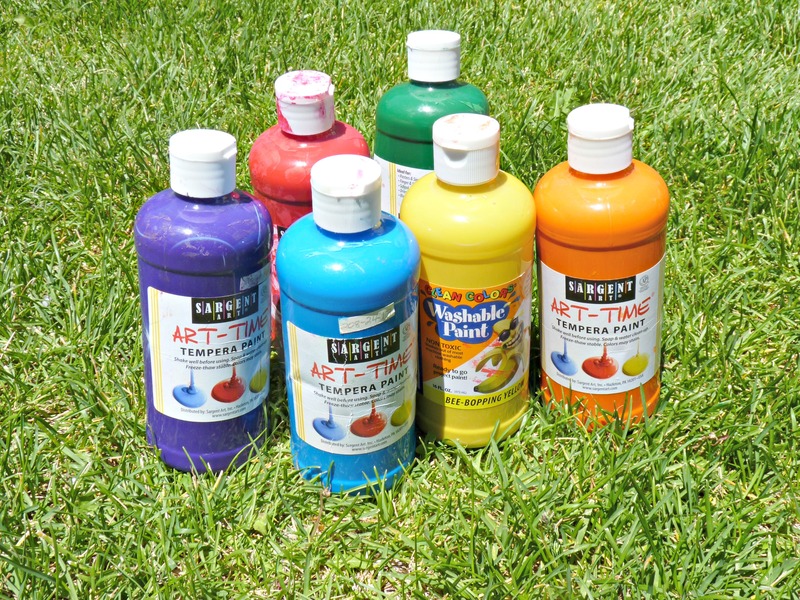 I got out six bottles of washable tempera paint. We choose to use the colors of the rainbow but any colors would work. Next, I filled a cupcake tin with the six different paint colors. I bought this cupcake tin at the Dollar Tree and we only use it for the kids art projects so I don’t have to worry about it getting ruined. I got out our paper roll and cut two large pieces of paper and taped them up. I purchased our roll from Ikea but they also sell them on Amazon. I taped our papers to the tramp but I think taping them to the fence or another flat surface would be more ideal. Just make sure it’s somewhere you don’t mind getting a little paint on just in case. 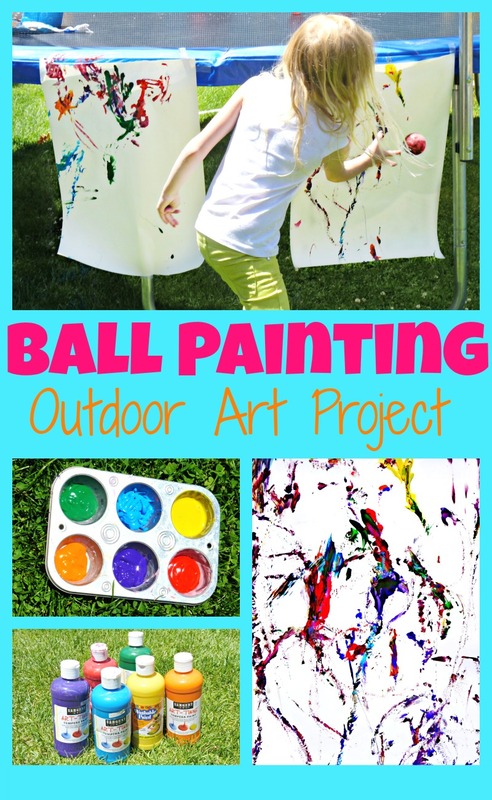 The kids dipped their balls in the paint and then threw them at their papers. We used plastic ball pit balls which worked well and cleaned easily. 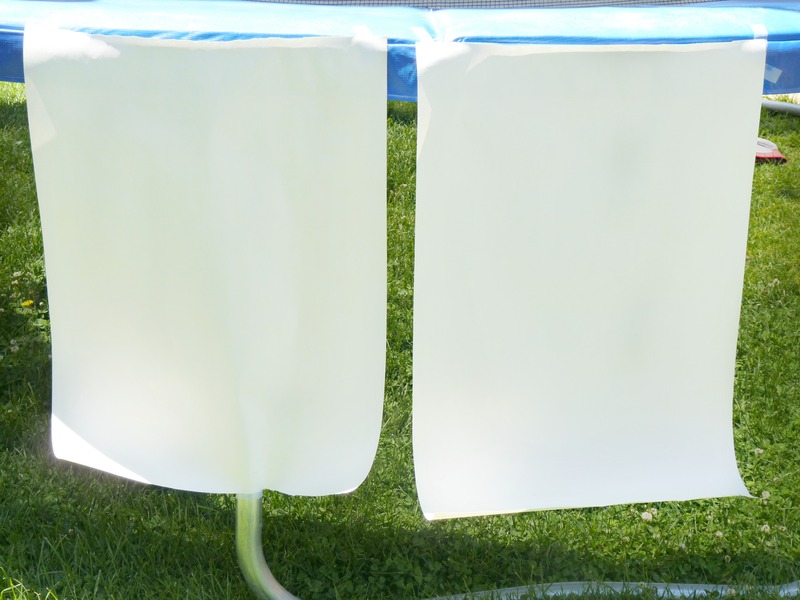 I think the soft water balls that they sell during the summer would work great for this too. 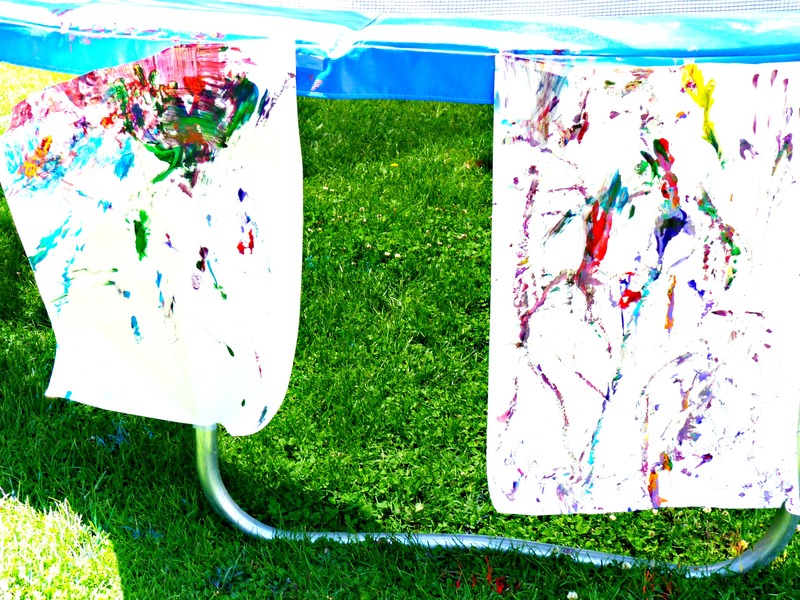 The kids had so much fun making their paintings. The twins even got in on the fun. The finished products turned out colorful and fun. My kids were very proud of their artwork. Since it was warm outside the picture dried quickly. Clean up was super easy. I just pulled out the hose and sprayed the paint off the kids hands and grass. I used I a wet washcloth to wipe the paint off the babies. 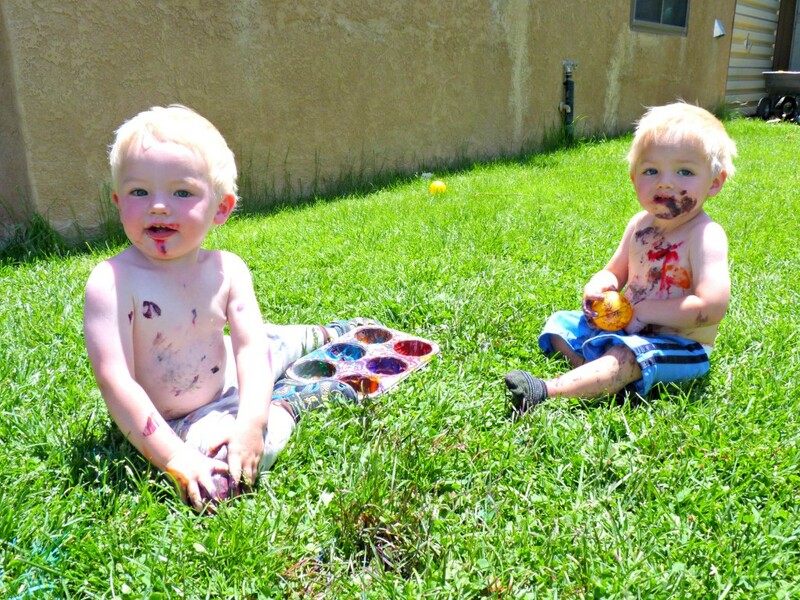 The kids did end up with a little bit of paint on their clothes. Next time I would have my kids change into swimsuits before we started so I could just spray them off afterward. 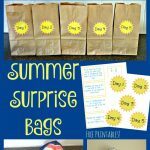 This turned out to be a super fun and easy project and a great way to spend a summer afternoon. 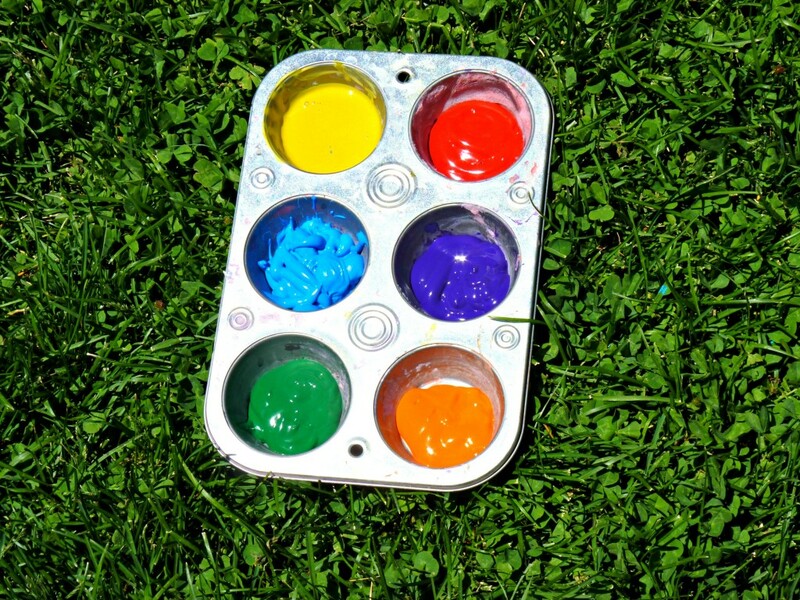 What is your favorite summer art activity for kids? I would love to hear. Please comment and share!